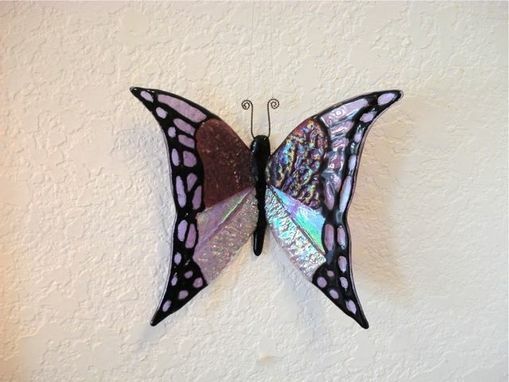 Because of its dichroic material - composed of heat-flashed glass with oxides and precious metals - this ornament changes color at different angles and times of day. 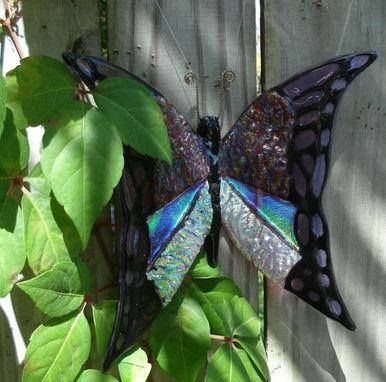 A second heating gives it a slump so the wings bend outwards for a 3D look. 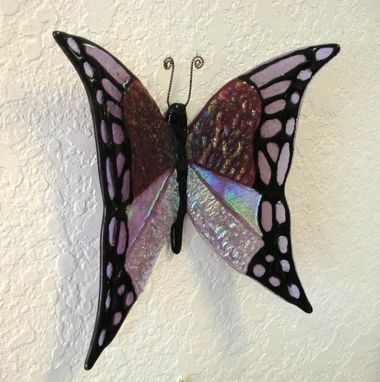 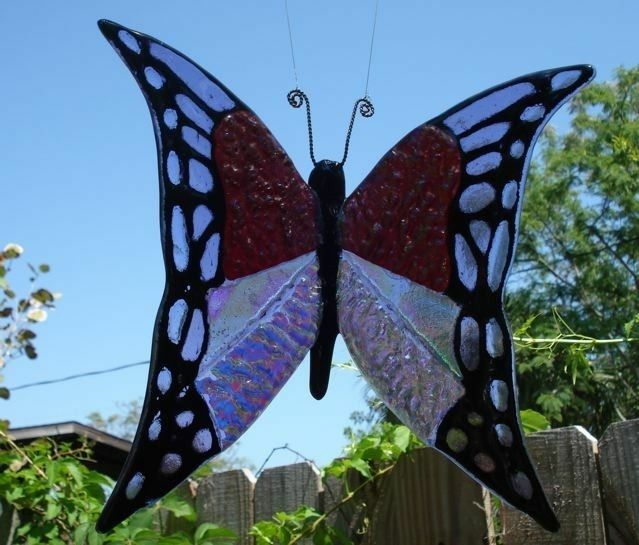 This butterfly suncatcher measures approximately 7'' x 8'', and can be hung on a wall, window, or near a lighting fixture.